Everything about this set is awesome. 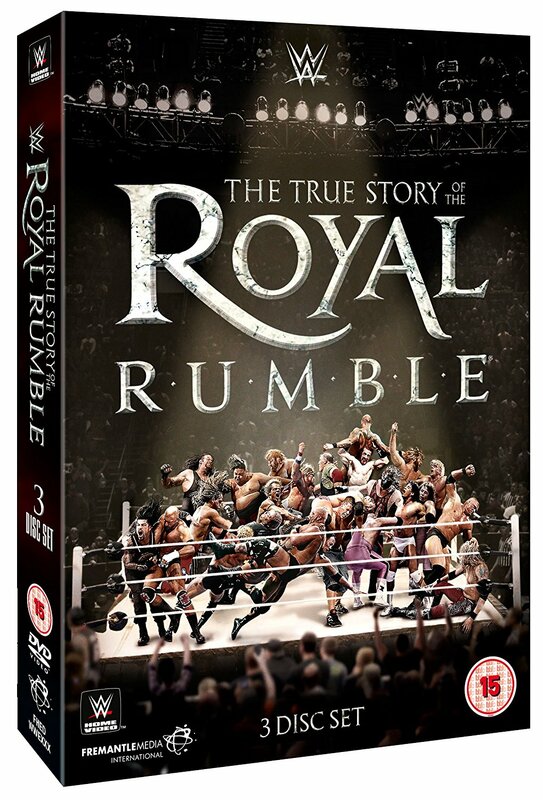 Personally, the Royal Rumble is my favourite event of the year, so getting to hear the story of its development and delve behind the scenes was always going to grab my attention. But the story is so compelling and the insights so fascinating, I think even someone who has never seen a Royal Rumble would get something out of this. 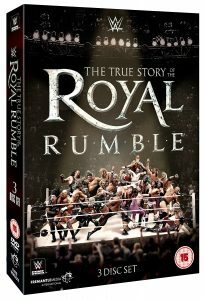 A testament to that is that the first disc is all documentary, with the second and third disc being full of matches from the storied history of the Royal Rumble. Now, like I said, I am a lifelong Rumble fan. Not only do I have the WWE Network, so can see every Royal Rumble on demand, but I have the original four volume DVD collection of Royal Rumble events from back in the pre-network days and have watched each event multiple times. As a child, the 1992 Royal Rumble was one I owned on VHS and watched near-weekly at the height of my fandom. All of which is to say that when I saw the listing on paper, I assumed I would watch the doc and write the review based solely on that and my memories of the matches. I wouldn’t need to actually waste time re-watching matches I’d seen numerous times! Especially hour-long Royal Rumble matches! But the testament to the power of this documentary is that even jaded-old me was so enamoured by the history of the event that I watched all three discs straight through. It really is that damn good! WWE has a tendency with its documentaries to whitewash a lot of history, but the feeling on this set is one of honesty, with controversies looked at quite openly. So we see when the Rock was declared the Rumble winner even though both his feet had hit the floor, we hear Dave Batista admit he messed up when both he and John Cena were eliminated (which led to Vince McMahon tearing both of his quad muscles in fury as he stomped over to the ring to clear up the mess), we hear about Stone Cold once getting accidently eliminated, and we hear about Batista’s awful return and crowd reaction the year it was meant to be all about him, but the WWE Universe just wanted to see Daniel Bryan. We also get to watch “live” behind the scenes as AJ Styles makes his WWE debut and hear from people like Bubba Ray Dudley and Chris Jericho about previous year’s surprise entrants. And of course we hear from Pat Patterson, who invented the format, and from various winners about the event’s impact on their careers (though the DVD tends to shy away from those winners who “Billy Gunned” their victory…or could that be “Alberto Del Rioed” it?). But the documentary also notes the role the whole event plays in the “road to Wrestlemania” – not only the Rumble match itself, but the undercard, which has featured some legendary matches and debuts.